The proxy list should all be the same, this is normal you have been given a specific amount of threads to use. Import your proxy list into your software, if your software does not take the url proxy please use the tool above and enter a proxy to get the ip address. How do I import into a web browser? Proxies are activated 10 minutes before any release. Wait until this time to test. Proxies will only work for the drop you selected. Release proxies will not work until the following times. To change your proxy to the United Kingdom, the port for UK is 13128 as noted on the chart below. We will change the proxy port from our example above from 13127 to 13128 to connect to UK proxy server. For example, let’s say you would want to run proxies from all over the world at the same time. Each proxy will route to a different location. Most software allows you to paste a full proxy into the proxy settings. 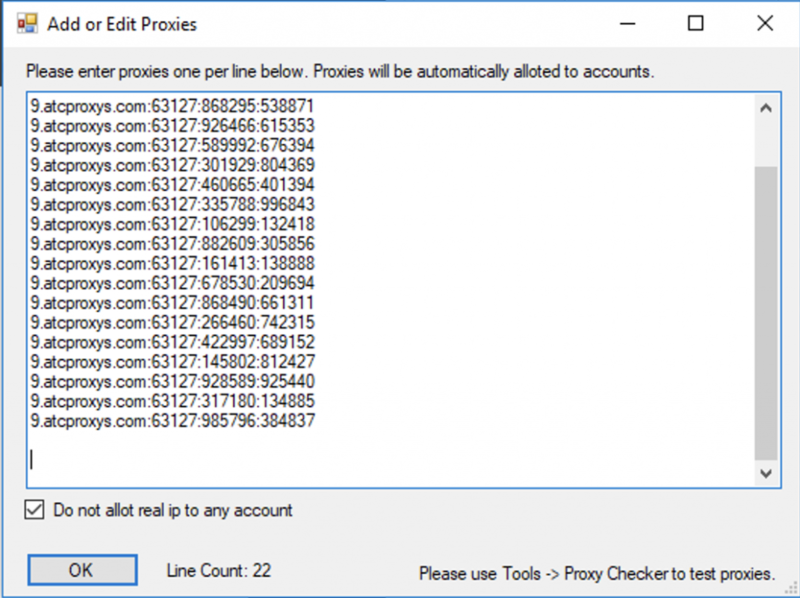 If your software does not here the the breakdown for the proxy settings.